The best bounty hunter in the galaxy holds your drink! This Cowboy Bebop Spike Red 16 oz. 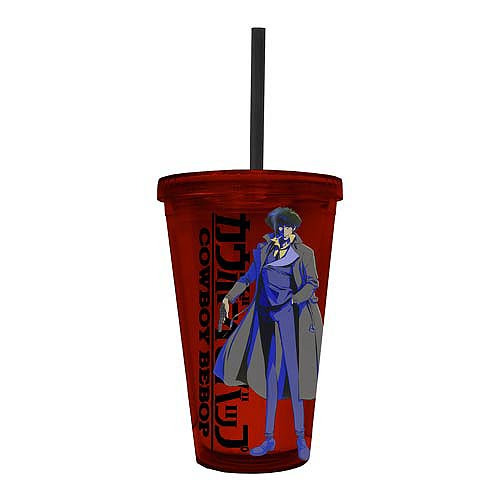 Travel Cup features an image of the main character from the hit anime, Cowboy Bebop. Hand wash only. Not dishwasher safe. Do not microwave.